← I have been thinking about getting my real estate license. How do I do that? (TUCSON, ARIZ.) Long Realty is pleased to announce that Joan Hull has returned to the Long Realty Team. 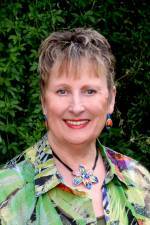 “We are proud to welcome back Joan Hull to Long Realty. She is an honest broker with high integrity and we are confident she will once again be a productive member of our staff,” said KC Woods, Regional Branch Manager of the Oro Valley office. Hull prides herself on high moral standards and a professional attitude; specializing in Active Adult Communities as well as properties in Northwest Tucson and Oro Valley. Hull, a native of Kansas, has been licensed since she moved to Tucson in 1994. She is currently an Associate Broker GRI and works mostly with properties in Northwest Tucson and Oro Valley. When she isn’t working, Joan enjoys spending time with her family. She has 4 children, 8 grandchildren, and 5 great-grandchildren. Share the post "Long Realty Welcomes Back Joan Hull to the Oro Valley Office"
This entry was posted in New Agents Joining Long Realty and tagged arizona real estate, Associate Broker, az, GRI, Joan Hull, KC Woods, Long Realty Company, Oro Valley Office, rosey koberlein, Southern Arizona Realtor, tucson, tucson real estate, Tucson Realtor. Bookmark the permalink.